I’ve been a published poet since the 1990s, with my early work appearing in local poetry journals for young adults in Dayton, Ohio. Below, you’ll find additional samples of my poetry. On sale now in paperback or hardback: Click here. Grand Lake Review, 2005: Click here. Why I Dyed My Hair Red: Poetry Chapbook, 2004: Click here. In 2003, I and about seven other local poets read aloud their original spoken word poetry on a CD published by the editors of Wright State University’s Nexus literary magazine, entitled: Rhythm & Movement Volume 1. Listen to me reading “I Am Woman” and “Gratitude,” in Dayton, Ohio, a year before I graduated with my bachelor’s degree in English – creative writing. Listen to I Am Woman: Click here. Listen to Gratitude: Click here. 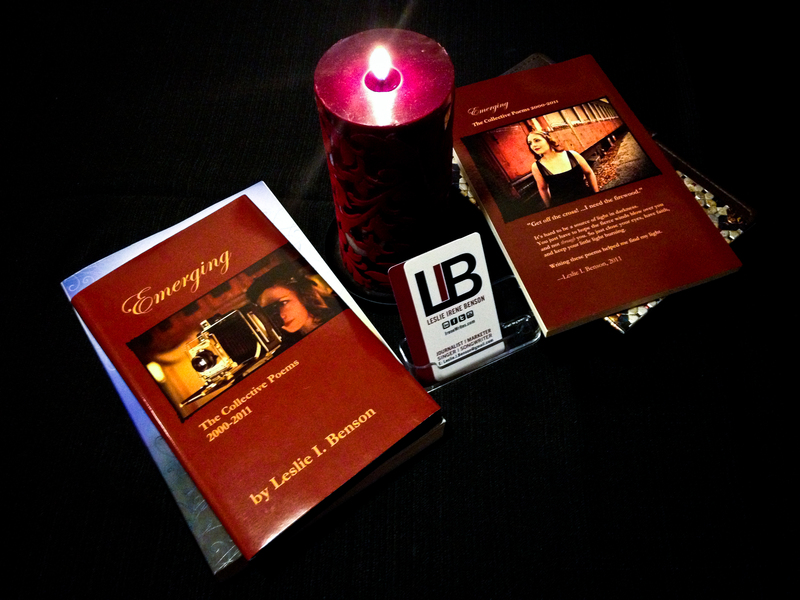 The links above will take you to the published poetic works of Leslie I. Benson. None of these poems may be copied or printed without her permission. Thank you. Photo by Leslie I. Benson.